Recycled Cardboard Cooler Boxes | OhGizmo! 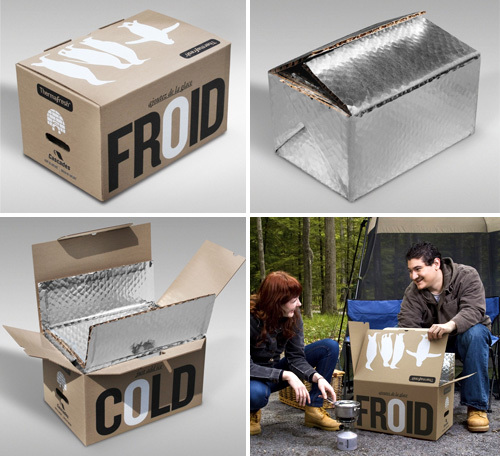 The inside and outside of the box are covered with a ‘NorSheild’ waterproof coating which means it’s ok to get it wet, and allows it to be used again and again without the cardboard turning to mush. And when it reaches the end of its lifespan, you can just toss it in your recycling bin. $14.99 each as part of an introductory offer. After that you’re looking at $19.99 per box. Interesting product if you don’t have a lot of space in your small appartment. Nice design!